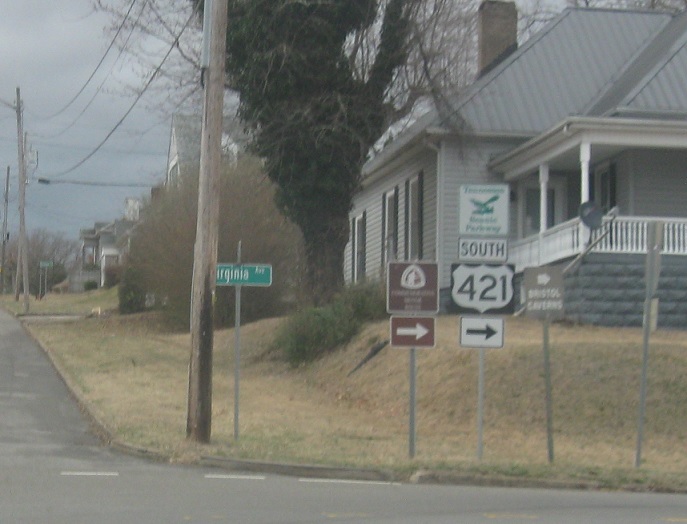 Reassurance shield as 421 and unsigned SR 34 split from the giant concurrency. 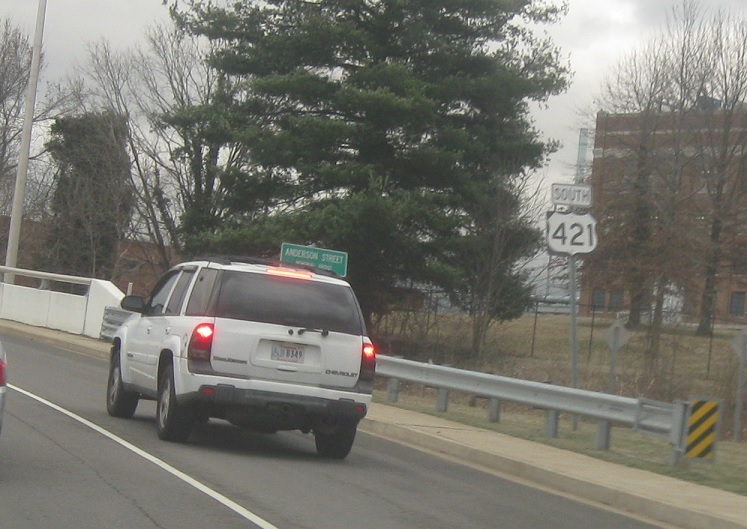 A couple blocks later, stay straight on 421 for MLK Jr Blvd. 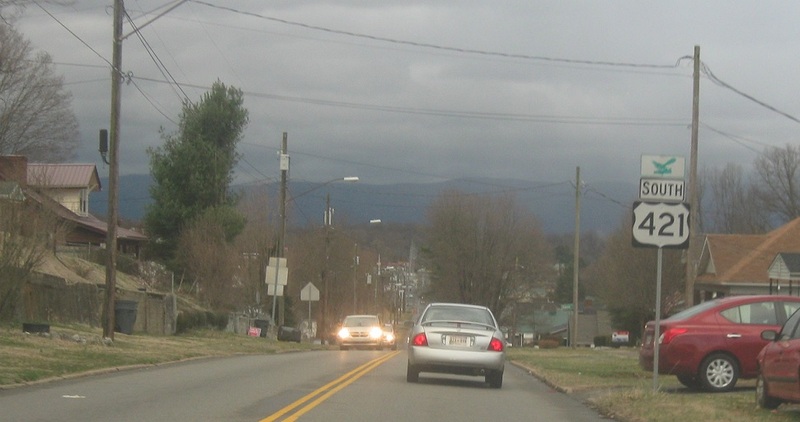 Reassurance shield after MLK Blvd. 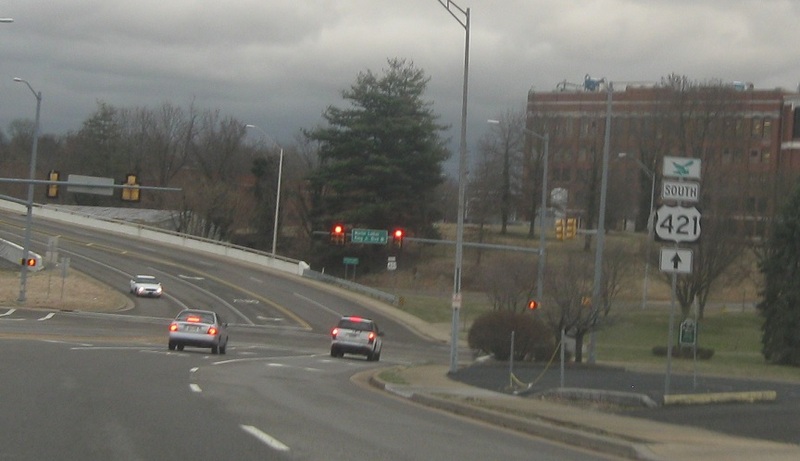 Several blocks later, Anderson St turns into Pennsylvania Avenue and US-421 turns left. 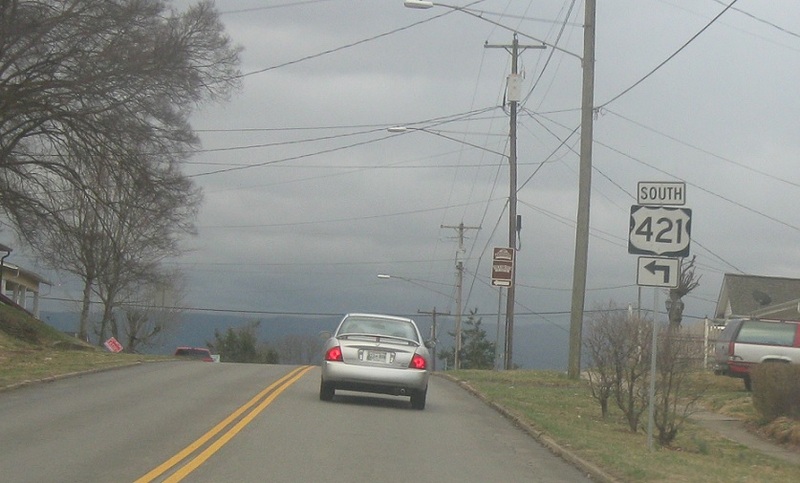 Turn left to stay on US-421. 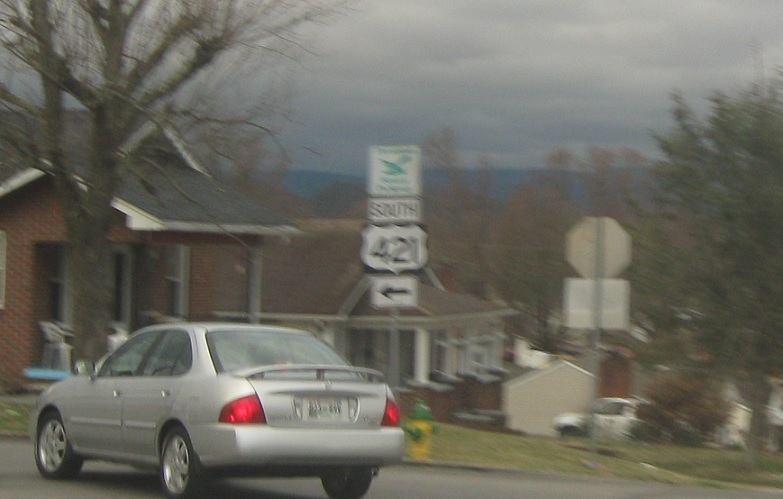 Two blocks later, US-421 turns right. 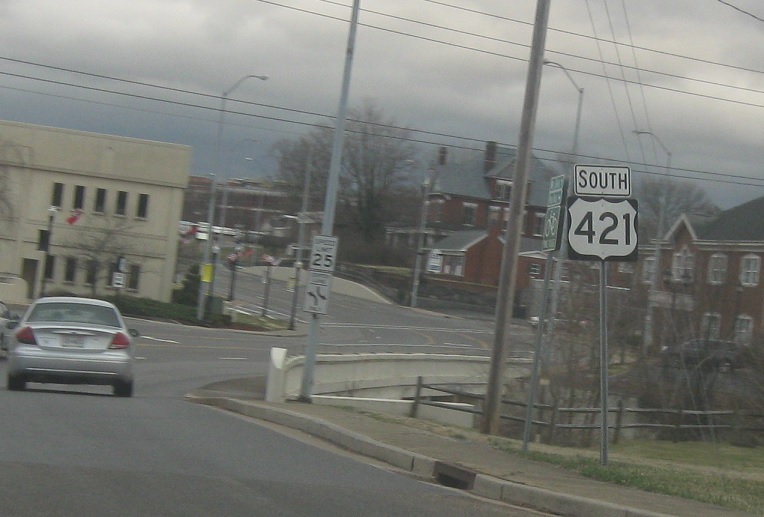 As we head out of Bristol, we’ll approach SR 394, which is mainly a southern bypass of town. 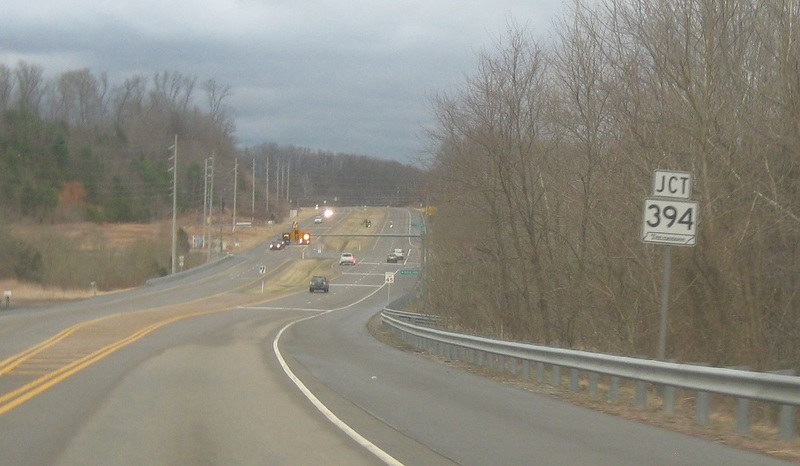 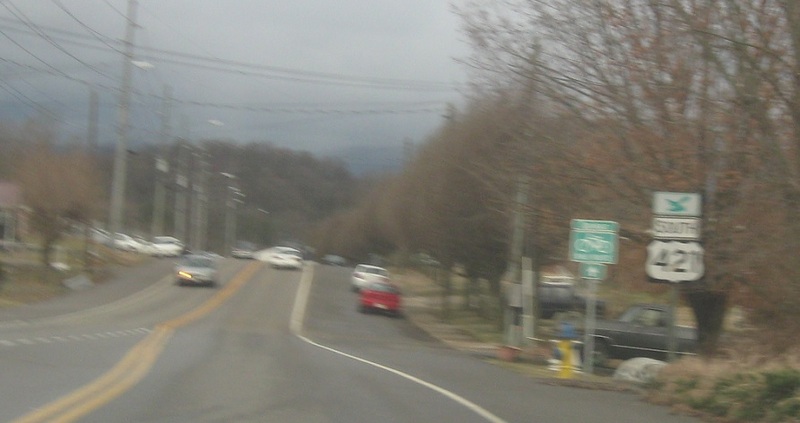 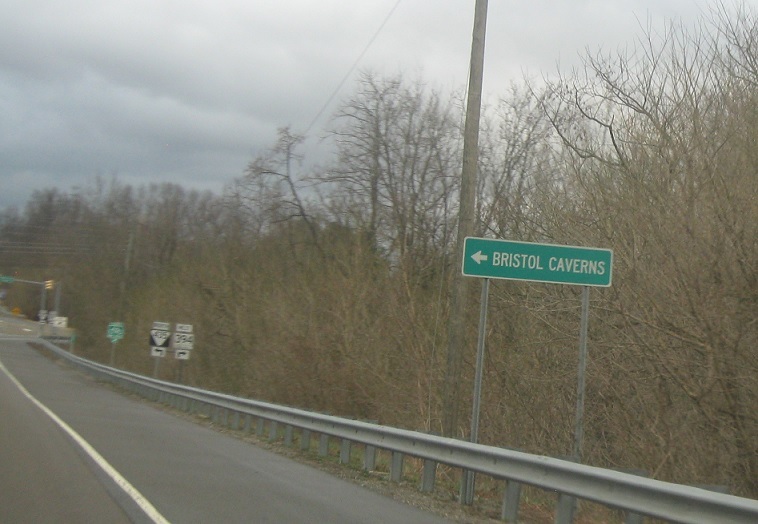 We’ll also approach SR 435, which connects up to the Bristol Caverns. 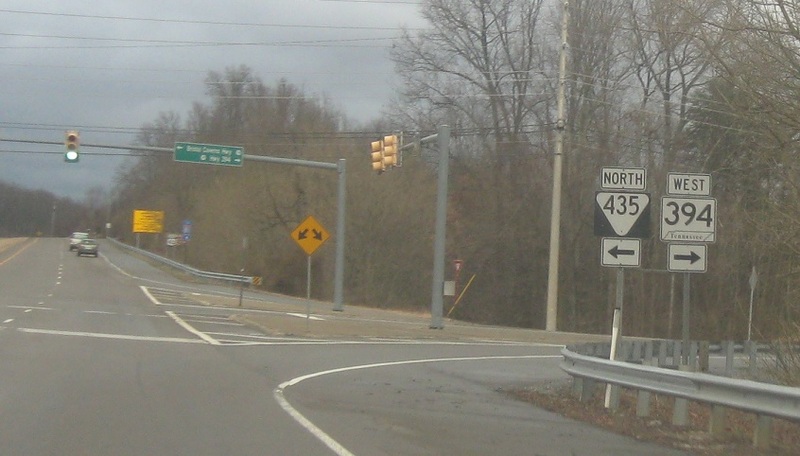 Turn right for 394 west and left for 435 north.